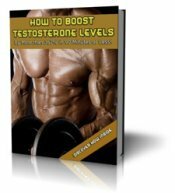 Saturated Fat Unsaturated Fat Testosterone & Estrogen! I have been looking around your website and you suggest many very good products. And I was even amazed that there is actually something that can Boost Testosterone. 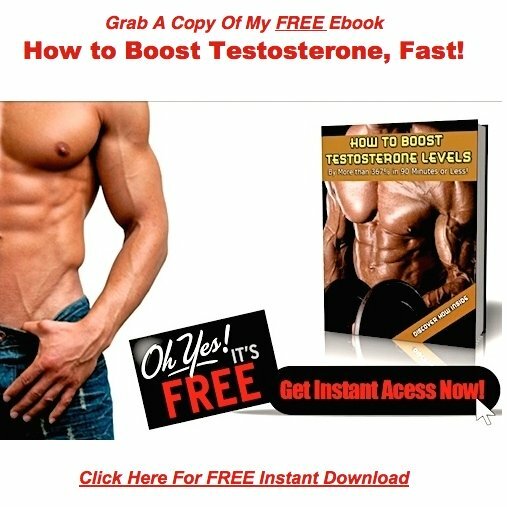 After all we live in an estrogenic world and we cant avoid it, while we have to battle to keep our male hormone "testosterone" and know I actually know how important this major hormone is after knowing how many people is struggling with it. "The notion that the West is killing itself with artificial trans-fatty acids and other saturated fats, while steadily decreasing its intake of natural, unadulterated, electron-rich essential fatty acids (EFA's), is hardly new. In fact, one of the leading books distributed at health food shows by vendors of flax products is the book you see in the right column. at the right. Dr. Johanna Budwig (1906 - present) still stands today as one of the leading authorities on edible fats and healing, but the majority of her book is taken from a speech she gave in Xurich in November, 1959. Most of the crucial work revealing the relationship between "healthy" and "unhealthy" fats was conducted in the late '40's and early '50's. In a nutshell, here is the argument: there are twenty (20) different types of fatty acids that the human body needs for optimum health. It can manufacture all but two (2) of these twenty. These two must be obtained from the diet and are known as the Essential Fatty Acids (EFA's): Omega-6 Linoleic Acid (LA) and Omega-3 Linolenic Acid (LNA). The EFA's combine to make two of the four major families of unsaturated fatty acids. Instead of choosing foods that contain these essential fats, consumers have chosen, over the course of the last century, to pick products with saturated fats which not only fail to provide the essentials, but prevent the human body from properly metabolizing fats... hence, the rise in the degenerative diseases associated with this loss in metabolic function. Considering the evidence at hand, why aren't more people listening? " These essential fats actually alters estrogen metabolism in our body. I know that many people say the stick opposite but I am talking from my own experience. And I lost a lots of pounds just of taking flaxseed oil. and i can say when i took it, it was only because it was a healthy food and i only realised that is makes me slim when i stopped taking it. funny! So take the natural way of Keeping Estrogen Low and i can assure you that it will change your estrognic life once and for all. While I agree with many of your points, there are a couple I'd like to take issue with. First, I'm not a big fan of flax seed. Flax oil is made up of about 50 percent omega-3 ALA. Most of the remaining 50 percent consists of the pro-inflammatory omega-6 fat called LA (linoleic acid). We already get way too many omega 6 fats in our diet, and not enough omega 3's. Since flax is around 50% omega 6, consuming it only worsens the problem. The short chain omega 3's in flax oil need to be converted into long chain 3's that can be used by the body. Unfortunately, humans do a very poor job of this. Recent studies have proven that the omega-3 in dietary flax oil can raise body levels of EPA, but it does little to raise blood or heart tissue levels of DHA, especially in men. This is an important finding, because DHA is much more cardioprotective than than EPA. Do what our ancestors have been doing for hundreds of thousands of years. Get your omega 3's from wild fish, and land animals that have subsisted on a diet of 100% grass. Both are low in omega 6's, and high in beneficial long chain omega 3 fats. Don't be so fearful of saturated fat! Contrary to your quote above, saturated fat consumption has gone down over the last 100 years, while pro-inflammatory seed and vegetable oil consumption has skyrocketed. Keep in mind, not many people were eating corn or soybean oil in 1900. They were eating mono fats, and saturated fats, just like our paleoithic ancestors. They were also suffering heart disease at a much lower rate. Don't be afraid of clean sources of animal fat. Get your omegs 3's from cold water fish, and grass fed beef. Limit consumption of pro-inflammatory vegetable and seed oils. If it's sitting in a clear plastic bottle on the grocery store shelf, don't eat it. Have a zero tolerance rule for any and all hydrogenated oils and trans fats. These are the true killers. Avoid them like the plague!